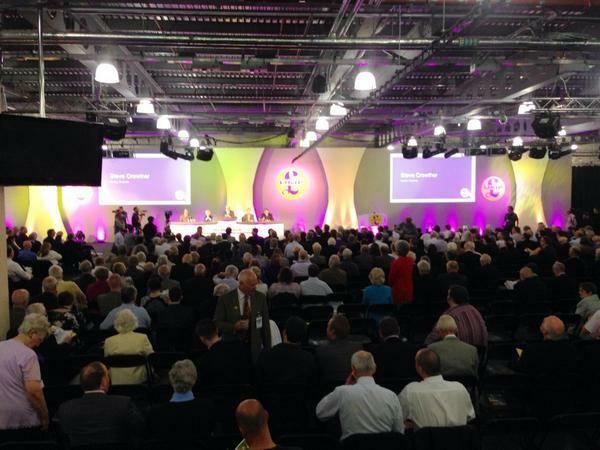 Last year’s party conference saw UKIP fresh from victory in the 2014 European elections, and boosted by the shock defection of former Conservative MP Mark Reckless. Twelve months and one agonisingly unfair general election result later, what surprises can UKIP offer this time around? Twelve months ago, the current British political landscape would have been completely unrecognisable, the stuff of fantasy. 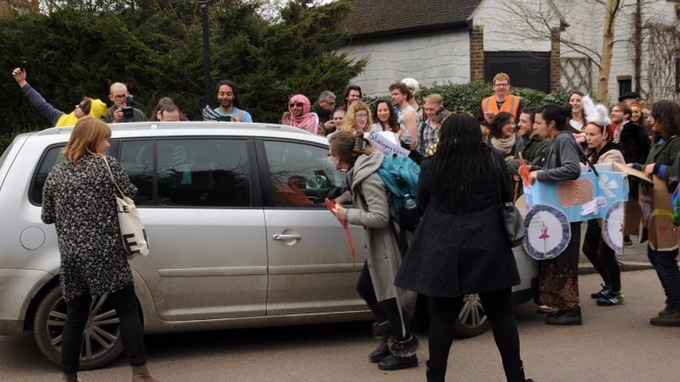 The Labour Party had not yet imploded in a shower of more-compassionate-than-thou moralising. The SNP’s Westminster surge was beyond even the Scottish nationalists’ wildest expectations following the “No” vote in the Scottish independence referendum. In fact, there was only one political party which could claim to have any real momentum and be making tangible progress of any kind. That party was UKIP. 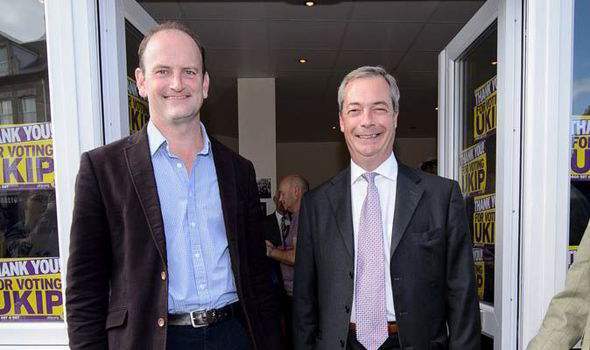 Twelve months ago, when Nigel Farage teased the UKIP 2014 conference delegates by telling them that a Tory MP would be speaking to them in his place – that MP being Mark Reckless, who then defected to UKIP live on stage to enormous cheers – there was a very real possibility that the second defection of a serving Member of Parliament from the Conservatives to UKIP might unleash the floodgates. At that time, it was entirely possible that UKIP could have ended the summer with a small handful of motivated, eurosceptic ex-Tory MPs, and a real Westminster presence. Only a few short years ago, this blog would never have imagined uttering the shocking words “I agree with Nigel Farage”. But in the ongoing internal warfare within UKIP, Farage’s latest intervention is a welcome one. 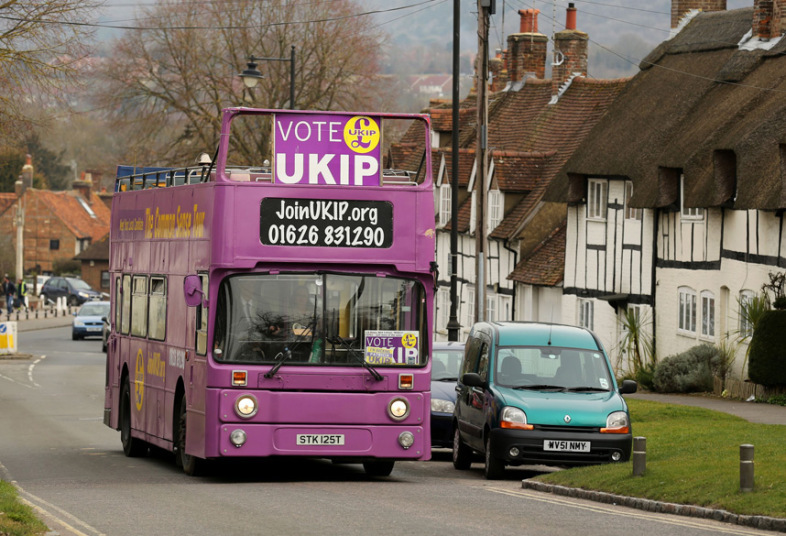 Yesterday, this blog wrote about the coming battle for UKIP’s soul, as evidenced by a growing movement within the party urging them to move to the political centre, a potentially fatal error of judgement. 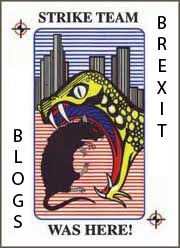 This misguided movement should be distinguished from other calls to change the tenor and tone of the party’s messaging – this blog fully supports a calmer, more reasoning style of political engagement by eurosceptics and advocates for individual liberty, but not at the expense of jettisoning core commitments to smaller government and increased personal freedom. Nigel Farage has refused calls to move to the centre ground as tensions with his deputy and only MP grow ahead of meeting with MEPs this week. The Ukip leader said he would continue to speak out on controversial topics like immigration, despite pressure from his deputy chairman Suzanne Evans and Douglas Carswell. In television interviews on Sunday, Miss Evans had said that Ukip “needs to go” more into the centre ground, while Mr Carswell said Mr Farage had to moderate his “tone”. But a defiant Mr Farage told The Daily Telegraph: “I will continue to lead Ukip as I have, broadening policies. “They don’t want the party to attract opprobrium but if you take on the political class on tough issues you attract opprobrium. Quite right too. The constant scorn and attacks, just for holding political opinions that would be considered perfectly common sense and mainstream in other countries such as the United States, can become wearing after a time. And as the ad hominem attacks increase the temptation to moderate the message can be very strong indeed. But it must be avoided – for now is the time for eurosceptics and believers in smaller government to stay the course, not dilute their message. None of this is to argue that UKIP should not tone down the anti-immigration rhetoric or stop courting controversy where it can be avoided. For instance: though the impact of EU migration on the unskilled British workforce is undeniable, there is probably no further mileage to be gained from pointing this out. And though it may be quite right to insist that the National Health Service should cater for British citizens and taxpayers first and foremost, using the example of foreign HIV sufferers was always going to attract the ire of Britain’s virtue signallers and professional outrage-mongers. So by all means, UKIP should stop doing the things which unnecessarily drive up the party’s negative ratings, and even prepare to take a back seat in the coming Brexit campaign if this will give the broader eurosceptic movement the greatest chance of success. But it would be unpardonable to change the manifesto commitments to national defence, refocusing international aid, simpler and flatter taxes, welfare reform and smaller government just because they do not fit with a “centrist” political strategy. Suzanne Evans apparently now believes that UKIP and conservatives in general are to blame for the often hysterical response of many people to right-wing ideas, and that they need to change their “brand” so that people want to “sing and dance” about their beliefs rather than remaining shy Tories or shy Ukippers. But this misses the point. To avoid public opprobrium would be to adopt the same tired, worn-out centrist policies which have led the establishment parties to such unpopularity and irrelevance. UKIP received just under thirteen per cent of the national vote in the general election because that is currently more or less the ceiling of support for eurosceptic, quasi-libertarian thinking in Britain. But the correct response to this fact is not for UKIP to change the policies to encompass a larger number of potential voters. The correct response is to engage in debate and win over more people to the pro-sovereignty, pro-personal freedom worldview – raising the ceiling rather than lowering the ambition. 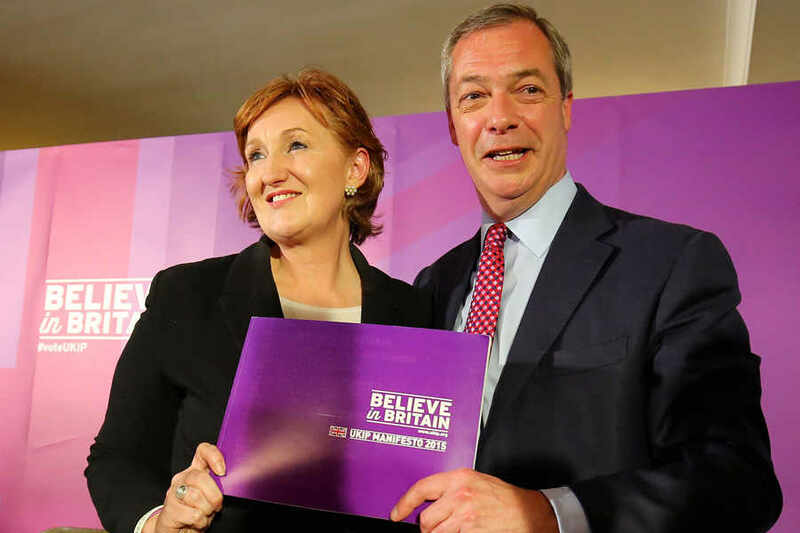 UKIP’s future currently stands on a knife-edge, both in terms of ideological direction and the party’s continued political viability – though the two are inextricably linked. On the one hand, there is the impulse to welcome the new ranks of ex-Labour supporters by adopting a more left-wing, big government approach, but on the other is the fact that any move to the centre or embracing of the stale post-war consensus is likely to result in UKIP ultimately becoming seen as just “more of the same”. The short term political benefit of reducing negative headlines and winning over fickle left-wing voters without doing the hard work of really changing hearts and minds in favour of an anti-big government, pro-freedom agenda is just that: a short term solution. It may temporarily increase support and polling numbers, but only at the expense of shredding UKIP’s hard-won claim to represent a genuinely different political choice. Britain has more than enough parties eager to bang on about “our NHS”, mindlessly defend the public sector and blindly support the EU, all as part of their grubby quest for centrist support. We do not need another such party. And UKIP must follow Nigel Farage’s lead and resolutely refuse to become just another party of centrist compromise and disappointment. The author of Ukip’s general election manifesto has said the party should concentrate on “compassionate, centre-ground” policies, denying the party was riven with bitter infighting. This was always the danger for UKIP – not so much the bitter infighting, which is disappointing yet predictable, but rather the growing impulse to move further away from its guiding principles toward the political centre. The frustration within UKIP is quite understandable – the party dramatically increased its level of support from 2010 to 2015, continuing an exponential rise over the past five years, but was rewarded with only one Westminster seat thanks to the diffusion of its support across the country. And looking at the parties which performed well (namely the Conservatives and the SNP) it is easy to come away with the impression that the path to electoral success lies in wittering on endlessly about public services – the Tories because they only sold their Long Term Economic Plan on the basis that a stronger economy means more cash for things like the NHS, and the SNP because of their reflexive opposition to ever shrinking the state. Smarting from the loss of half its Westminster representation and trying to keep a lid on very public infighting which threatens to make the party look foolish, the impulse to move to the political centre is clearly very strong. But it is equally misguided – the British political centre is already overcrowded, with the rudderless Labour Party and David Cameron’s Coke Zero Conservatives fighting over the same ground. Of course this won’t be easy. It takes time – and the gradual accumulation of evidence that the centrist policies pursued by the other parties are failing – to persuade people that a radically different direction is needed. And in Britain, so accustomed to the post-war settlement policies of an active, interfering government and welfare state, persuading people that lower taxation and greater freedom can result in more prosperity rather than less is particularly challenging. This means that despite the strides made by UKIP since the party was founded, dramatic electoral success was never going to come in 2015, and nor will it come in a rush in 2020. Weaning people away from big government is a long, difficult process – especially in a country where 52 per cent of the population receive more in government benefits than they contribute in taxes. But selling out by becoming just another centrist party that drones on about “compassion” while failing to restrain the state and free the individual is the worst possible idea, and would represent a grave betrayal of all those people who were originally attracted to UKIP’s cause. UKIP is clearly being moved by the impulse to make a comfortable home for the legions of former Labour voters who have switched their loyalty to Nigel Farage, and we are now witnessing the beginning of a battle for the party’s soul. But the answer is not to recreate the Labour Party under a purple banner – to do so would be hugely insincere, and would undermine the true foundation of the party’s support. Four million votes in a general election is a huge accomplishment, and the temptation to exploit and artificially increase this number by repositioning to the left is immense. But a principled political party – the party to which this blog, after much soul searching, lent its support on 7 May – should not seek quick shortcuts to greater public favour. Real progress is difficult, and comes slowly. UKIP’s warring factions must not forget this simple truth. For British voters who believe in the wisdom of small government and personal freedom – as well as those who believe that the British people are capable of achieving so much more than angrily lobbying for endless new perks and benefits from the state – the 2015 general election campaign thus far has been a dreary, depressing spectacle. But in Thurrock today, the United Kingdom Independence Party gave what was perhaps their most convincing pitch to voters thus far, with the launch of their 2015 general election manifesto, entitled “Believe in Britain”. If only all politicians could believe in Britain as UKIP does. If only they could share our positive vision of Britain as a proud, independent sovereign nation, a country respected on the world stage, a major player in global trade, with influence and authority when it comes to tackling the pressing international issues of the day. And on issue after issue, UKIP are making themselves an increasingly plausible, reasonable choice for liberty-minded voters to make when they vote on 7 May. The longer term aspiration of a UKIP government will be to create an income tax structure of a basic rate of 20 per cent, an intermediate rate of 30 per cent, and a top rate of 40 per cent, meaning income taxes will be flatter and lower. Bringing down taxes on working people at the bottom and in the middle ranges of the income scale is our priority. In the longer term, we will aim to restore the personal allowance to those earning over £100,000 and make 40 per cent the top rate of tax for all, as it used to be.